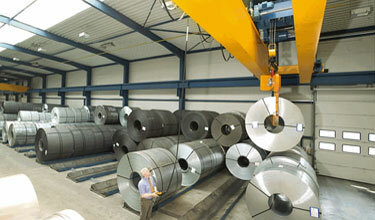 Demag Standard Cranes are made from modular components in many spans and capacities. 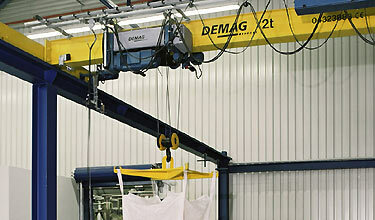 Demag Process Cranes are customized to excel in serving specific industries. Capacities for double girder top running cranes range up to 580 tons and spans up to 200 feet. Single girder capacities and spans range up to 30 tons and 100 feet. Capacity and span range for single girder underrunning cranes are up to 20 tons and 80 feet. A complete line of Jib Cranes for use in production cells. As your production needs change, we can modernize and upgrade your crane to meet tomorrow's demands. 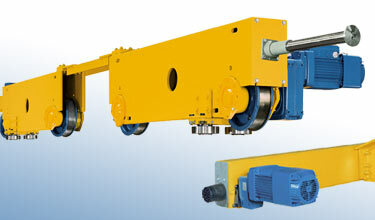 Demag MPW Built Up Hoists are designed with standardized subassemblies thru 170 ton. Features such as Express Lifting provide efficient handling of your loads. Infinitely variable speed drives are standard for all motions. Field proven, the MPW hoist can be tailored to meet the requirements of the most demanding application or environment. Class E + service is available upon request. Optimized for crane applications, the new Demag EKDR rope hoist meets all the requirements for state-of-the-art hoists for tomorrow's needs. Besides the space-saving design and particularly long service life, it also offers you a higher lifting speed for faster handling rates – comprehensive standard features with outstanding value for money. The Demag DR 20 rope hoist extends the successful range of DR rope hoists for cranes with the addition of a version for load capacities up to 50 tons with three different mounting designs to facilitate versatile application. For lighter capacity high speed handling applications Met-Con provides Demag Cranes & Components engineered ergonomic solutions using Demag and KBK components and systems. The heart of every system begins with patented Demag KBK enclosed track. 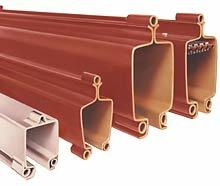 This track is ideal for closed loop systems or operations where many lifting components are used in close proximity. Demag KBK can be used to design both simple or automated monorail systems or can be used as an overhead traveling crane and allows for the use of other material handling components. Demag DC & DK Chain Hoists are available to lift and move loads up to 11,000 lbs. 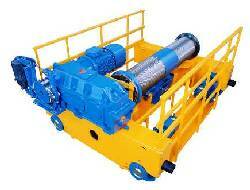 A wide variety of lifting attachments are available to fit your application. 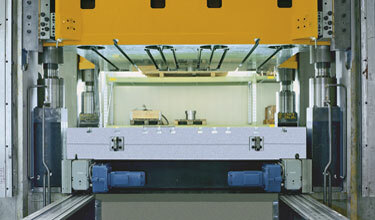 Demag Manulifts allow users to position material precisely with just one hand. The two-speed control functions as a "Bionic Hand" which greatly improves the efficiency of piece and station work. Demag Air Balancers also allow users to position loads effortlessly without the need of a separate control pendant. Demag's air balancer requires the lowest hand forces of any air balancer unit in the industry. The DRS wheel block system was designed for a wide variety of applications. Demag components are proven products and feature high-quality material, efficiency, flexible applications and sophisticated extension possibilities. Versatile wheel block system with optimum performance ratios for a maximum load capacity from 2,75 t to 40 t with compact dimensions. Finely graded sizes (DRS 112 to DRS 500) accommodate your need for a design to meet your application requirements. Offset and right angle gear motors from the Demag modular system are available for models with individual or central drive units. Please contact Met-Con today for a quotation on your Demag crane and Demag hoist, overhead lifting, crane and special material handling requirements.